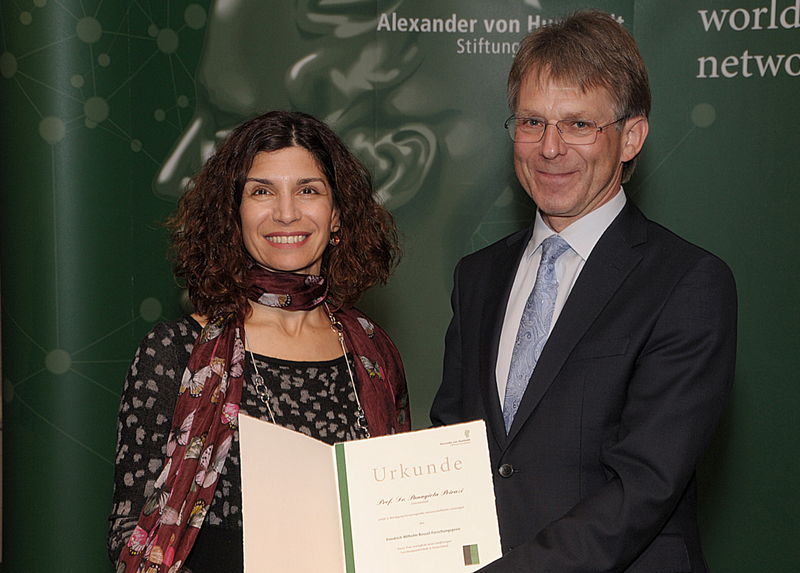 Dr. Poirazi receives the Friedrich Wilhelm Bessel Research Award from the Alexander von Humboldt Foundation. Dr. Poirazi receives the Friedrich Wilhelm Bessel Research Award by Hans-Christian Paper, president of the Alexander von Humboldt Foundation. The ceremony took place during the 47th Symposium for Research Award Winners of the Alexander von Humboldt Foundation in Bamberg, Germany March 28th-30th 2019.